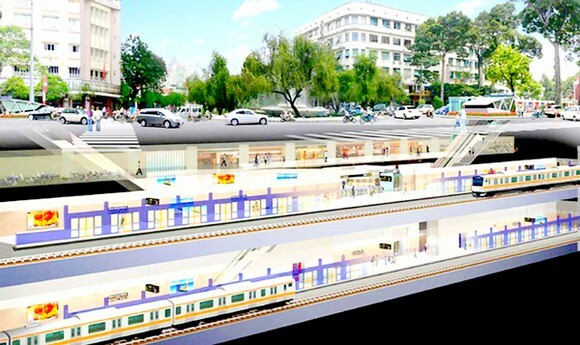 HCMC has been in the quickly increasing demand of underground land use to implement metro lines, construction and technical infrastructure works but yet to draw up an underground space plan. In fact, to create a basic for development and management of such kind of works, the city has to plan about an underground space. 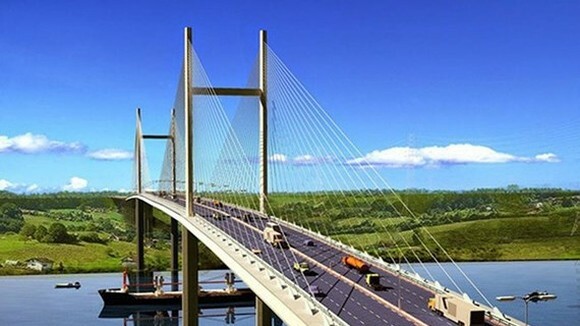 Beside under construction metro route Ben Thanh-Suoi Tien, the city plans to build seven others comprising Tay Bac Cu Chi-Thu Thiem, Ben Thanh-Tan Kien, Cong Hoa crossroads-Hiep Binh Phuoc, Thanh Xuan-Hiep Phuoc, Gia Dinh Park-Lang Cha Ca, Ba Queo-Phu Lam roundabout, Can Giuoc coach station in Long An-Sai Gon Bridge. Existing downtown area covering 930 hectares will have seven underground parking lots and many buildings developed with multi basement levels over 11 hectares, reported the city Department of Architecture and Planning. 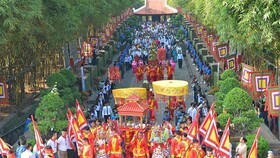 In addition, the city has headed toward building technical infrastructure works underground. 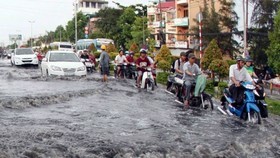 Recently, Saigon Water Corporation has asked for the city’s permission of a policy on water supply plan change. According to the company’s representative, HCMC’s water supply pipe system has run downgraded with many sections being buried shallowly beneath the ground or uncovered. That does not ensure safety and quality of the water supply system amid currently dense construction ratio and overloaded traffic infrastructure. Water supply and telecom networks had been installed 20-30 meters underground in most countries in the world, the representative said. If the city approves, Sawaco will change the plan, hire foreign consultant companies to build a water supply system restructuring project comprising installation of underground pipes. Still the representative expressed concern about the pipe construction as the city has not had an underground space plan. The shortage of information about works which have been or to be built underground will raise difficulties in planning the pipe system as well as connecting them with current and future works. 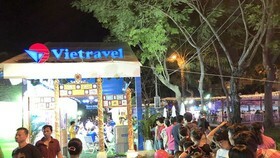 Deputy chairman of Vietnam Tunneling Association Nguyen Duc Toan said that using underground space helps create large, safe, quick and environmentally friendly public transport systems in urban areas. Moderate temperatures in underground space, separated from all climate types, help save energy and preserve many types of products. Soil cover helps prevent noise transmission in the air while the earth’s crust can absorb shakings and energy explosions. Therefore, if explosions, atomic radiations and industrial incidents occur, underground works will be valuable shelters. However relevant sides should understand the nature of the potential land fund to efficiently use it, he added. 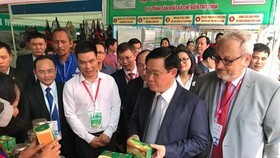 Sharing the same view, deputy head of the General Department of Geology and Minerals of Vietnam Do Van Linh said that underground construction has large influence on above the ground works’ quality. In fact, many work accidents have occurred for a shortage of geological parameter calculations. 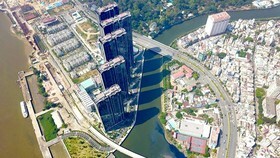 HCMC’s geology is a matter in need of careful calculation, he noticed. Only some areas such as Districts 1, 3 and 10 have relatively stable terrain. 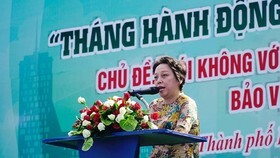 It is weak in the remaining districts comprising Binh Chanh, Hoc Mon and Nha Be, posing high subsidence possibility for works built in these areas. According to him, HCMC locates in level 6-7 earthquake zone with 5.5 magnitude quakes in the seismic zoning map of Vietnam. The highest macroseismic intensity reaches level 7 in scale MSK-64 in the area. Therefore, the city needs to build an underground space plan basing on surveys and estimations of hydrographical and geological conditions. The plan will be a basic for licensing and managing construction works under the ground. At present, investors must drill to take samples and conduct costly surveys. 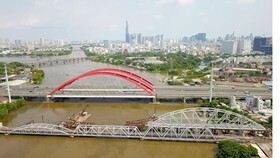 Still, they have still been unable to estimate all impacts because of just studying the area where they will implement projects and having yet to calculate interactions with surrounding areas, Mr. Linh said.